German soldier denies Israel's right to exist, then claims language difficulties prevented him from fully understanding survey. 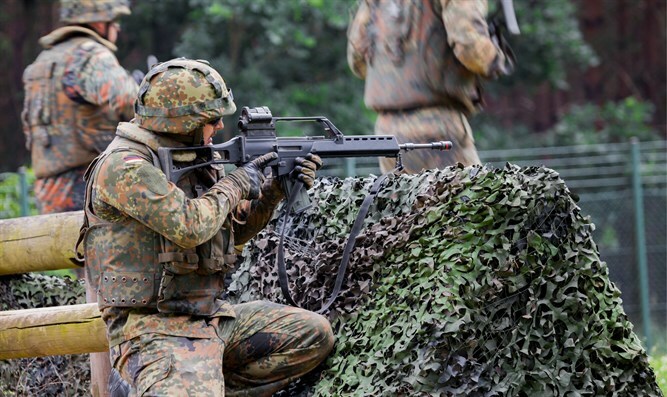 A German soldier was thrown out of the army after he denied Israel's right to exist and expressed support for the Hamas and Fatah terror organizations in an internal survey. The soldier, who served in a counterintelligence unit, was dismissed by the army's Human Resources department after the survey's results were received. According to the army, the dismissal was necessary because the soldier did not commit himself to protecting liberal democracy whenever necessary. Meanwhile, the Afghanistan-born soldier denied the accusations, claiming language difficulties prevented him from fully understanding the survey. However, the courts remained unconvinced. Allowing such a soldier to remain in the army represents a severe threat to the army's authority, they said. "The army's decision to dismiss the soldier was justified," the court ruling stated.